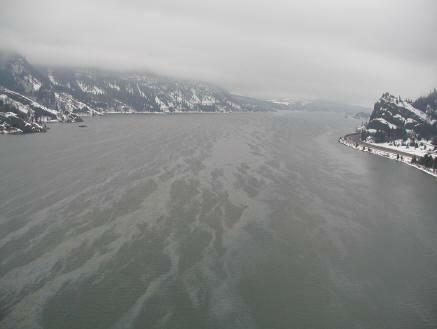 Environmental group Columbia Riverkeeper has sued the Army Corps of Engineers and its commanding general in Federal Court for neglecting several dams in the Columbia River, thus causing the leak of oil, grease and other lubricants and pollutants, in violation of the Clean Water Act. This "pollution crisis" has done more than contaminate the waters and threaten the aquatic ecosystem. It has increased the cancer risk of Native Americans along its shores by 5,000 percent, the environmentalists claim in court, reported CourtHouseNews.com. The lawsuit details dozens of oil spills and claims the Corps of Engineers have not properly maintained turbines at the Bonneville, a major hydroelectric dam 40 miles east of Portland; John Day; and McNary dams, among others. Columbia Riverkeeper's lawsuit includes reports of the Army Corps discharging more than 1,500 gallons of PCB-riddled transformer oil at a Snake River dam in 2011 and 2012. "PCBs are highly toxic and don't go away," Brett VandenHeuvel, Columbia Riverkeeper executive director, told the Portland Tribune. "While the government banned the manufacture of PCBs decades ago, the PCBs are still showing up in oil coming from the Corps' dams. We are very concerned about the impacts of toxic oil pollution on salmon and the families that rely on the Columbia and Snake Rivers for sustenance."